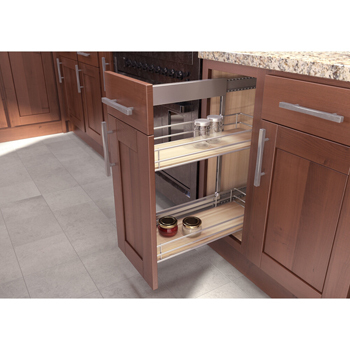 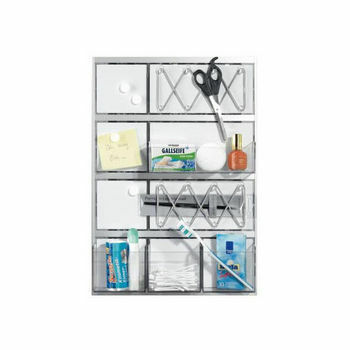 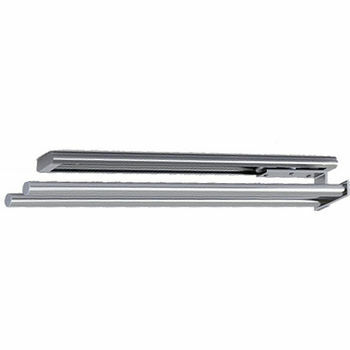 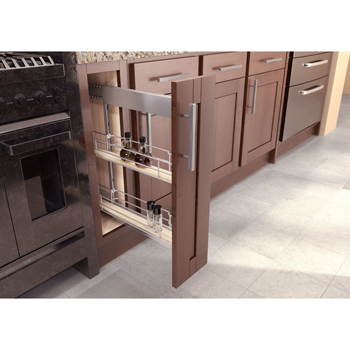 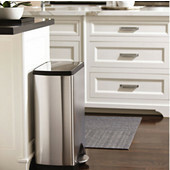 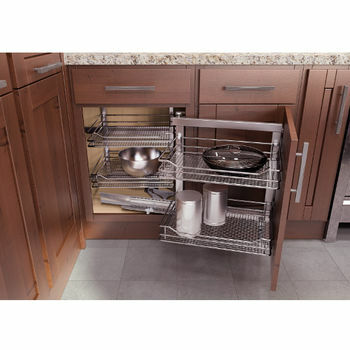 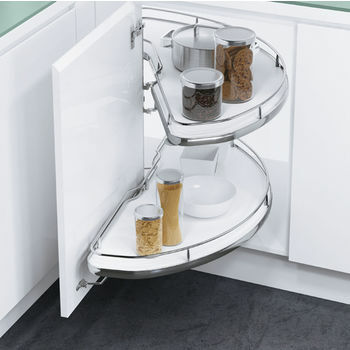 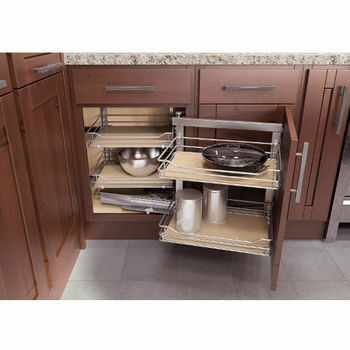 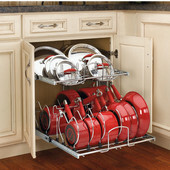 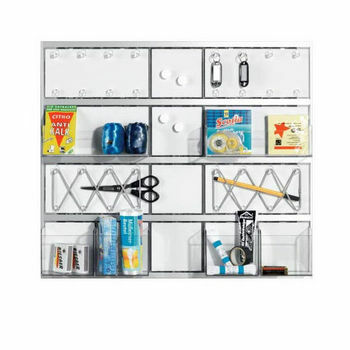 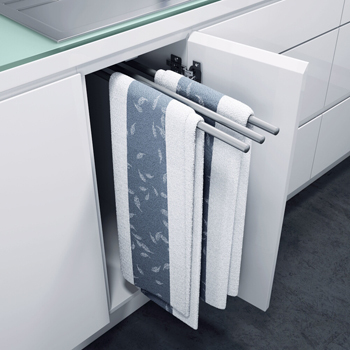 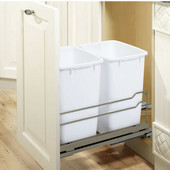 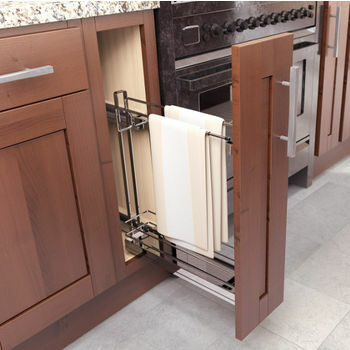 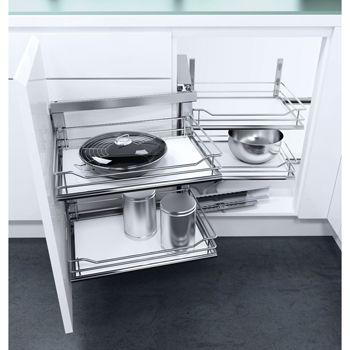 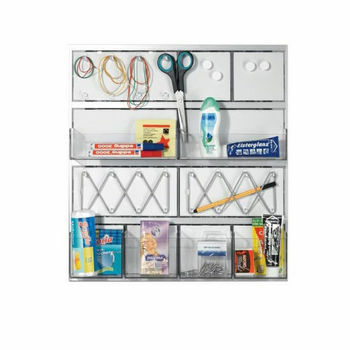 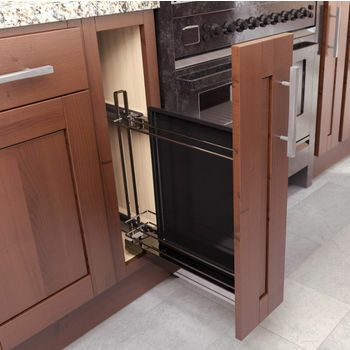 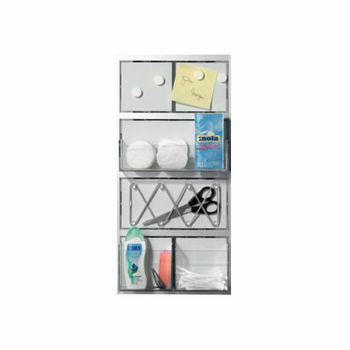 Vauth-Sagel "SUB Slim" Base Unit Pullout with Towel Holders, Chrome, Min Cab Opening: 4-3/8"W x 19-1/2" D x 20-15/16"
Vauth-Sagel's Base Cabinet and Blind Corner Organization systems offer dozens of organizational possibilities for keeping your kitchen tidy and your supplies organized. 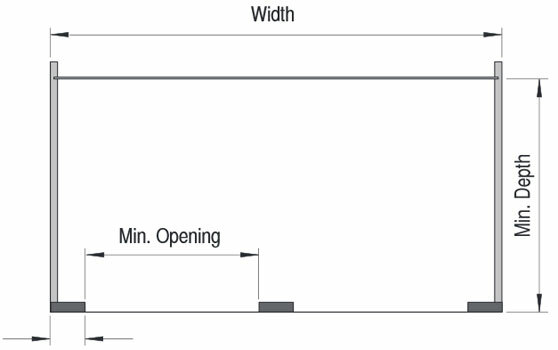 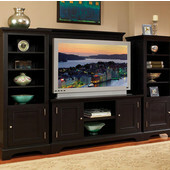 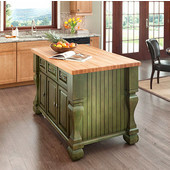 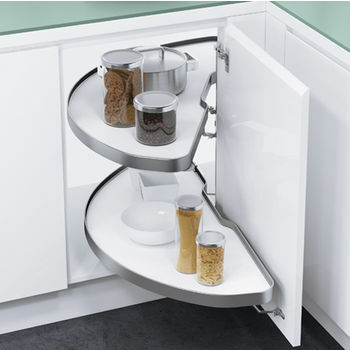 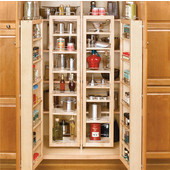 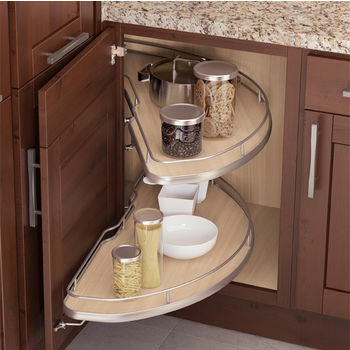 Installation is simple and the practical solutions turn even the least accessible cabinets into viable storage areas. 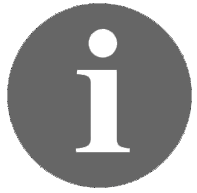 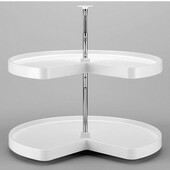 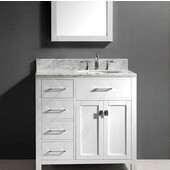 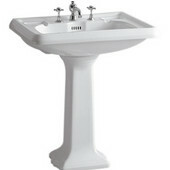 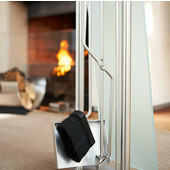 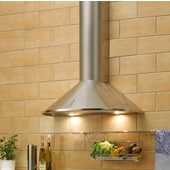 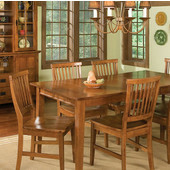 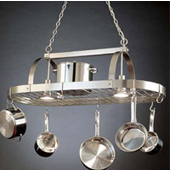 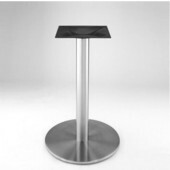 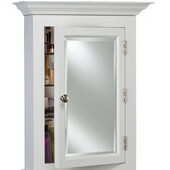 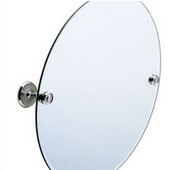 Most are available in a choice of Saphir chrome-plated or Scalea silver powder-coated finishes.